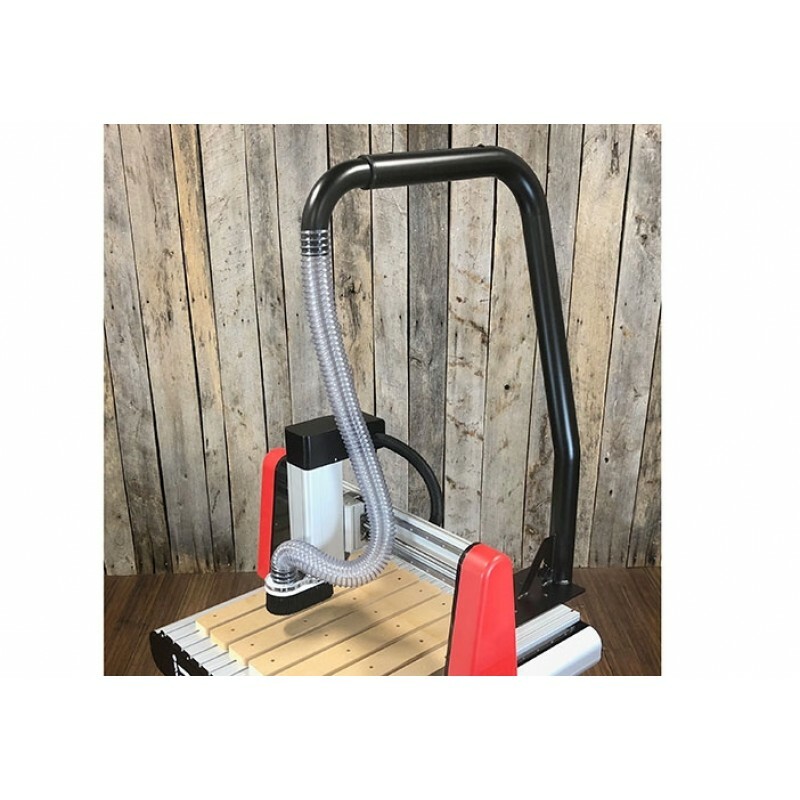 The Axiom Overhead Dust System includes everything you need to connect to your ADS110 dust shoe, including mounting hardware, flex-hose and hose clamps, and is adjustable to fit any Axiom i2R-2, i2R-6 or i2R-8 CNC router. Your dusty shop has met its match. 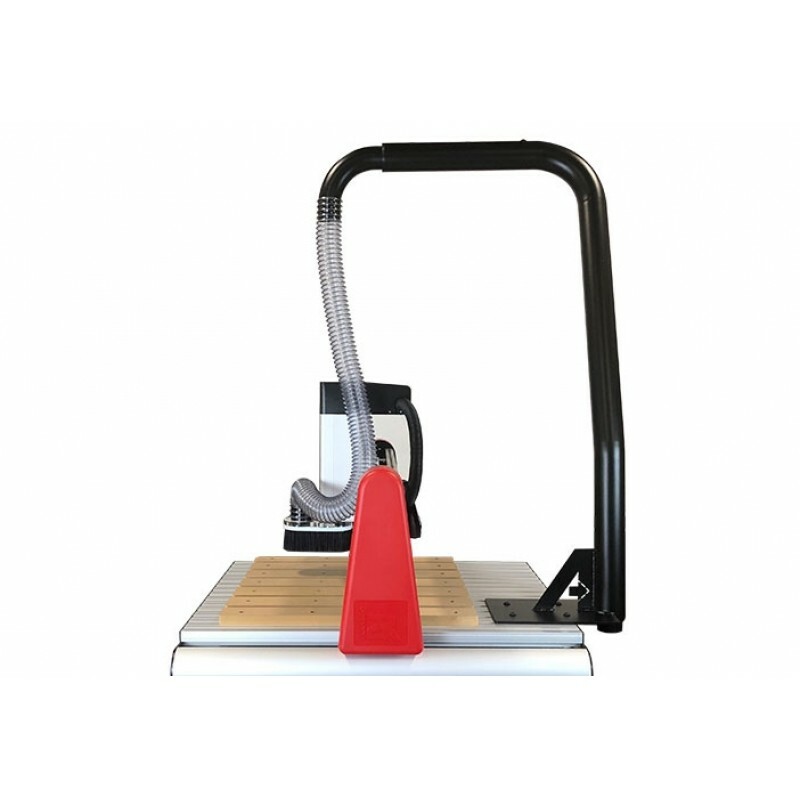 Connecting the moving dust port on a CNC router to a dust collector is often a difficult undertaking. 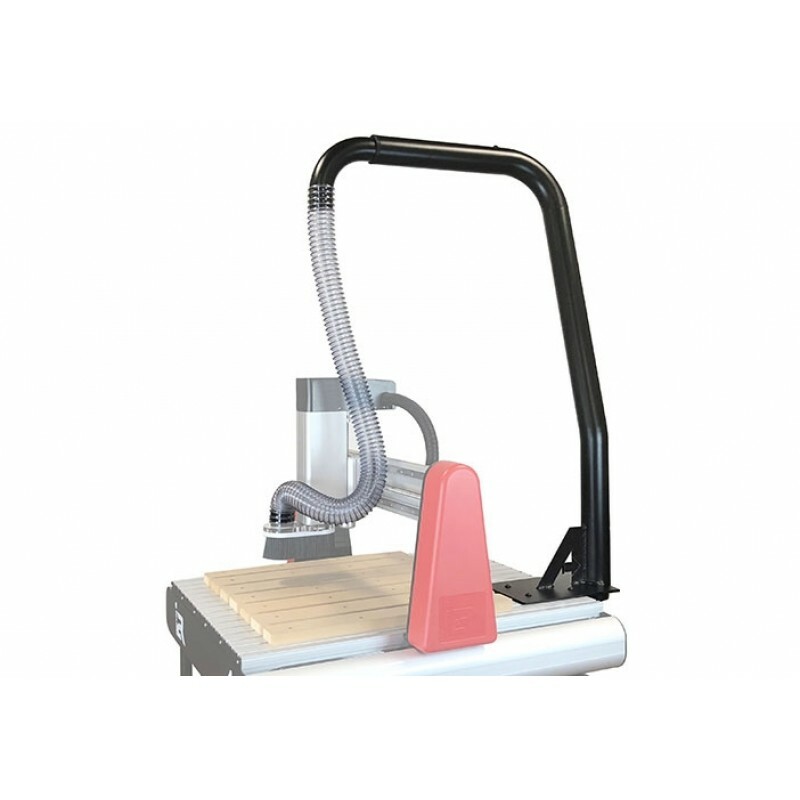 The large working envelope requires a delicate balance between rigid duct, flex-hose, and the appropriate placement of each. 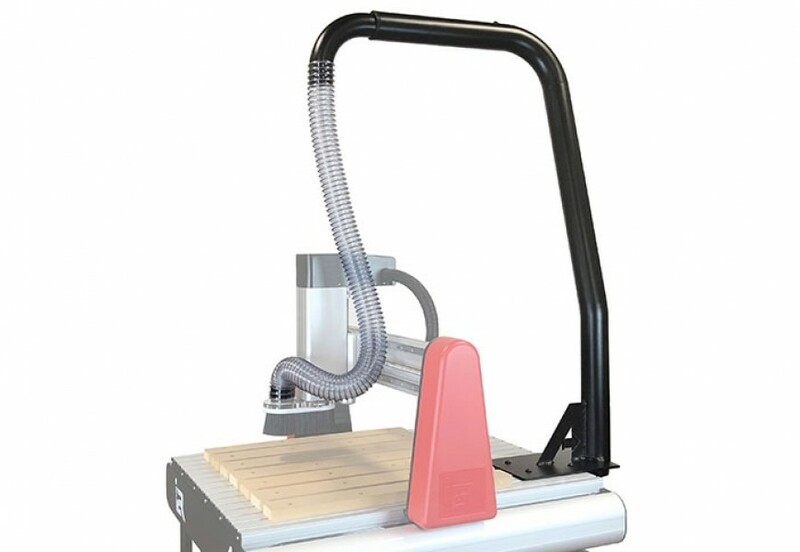 Our new Overhead Dust Accessory simplifies the process. Once installed, this exciting new accessory connects your Axiom Dust Shoe to a smooth, rigid tube via a soft, flexible, clear length of dust hose. 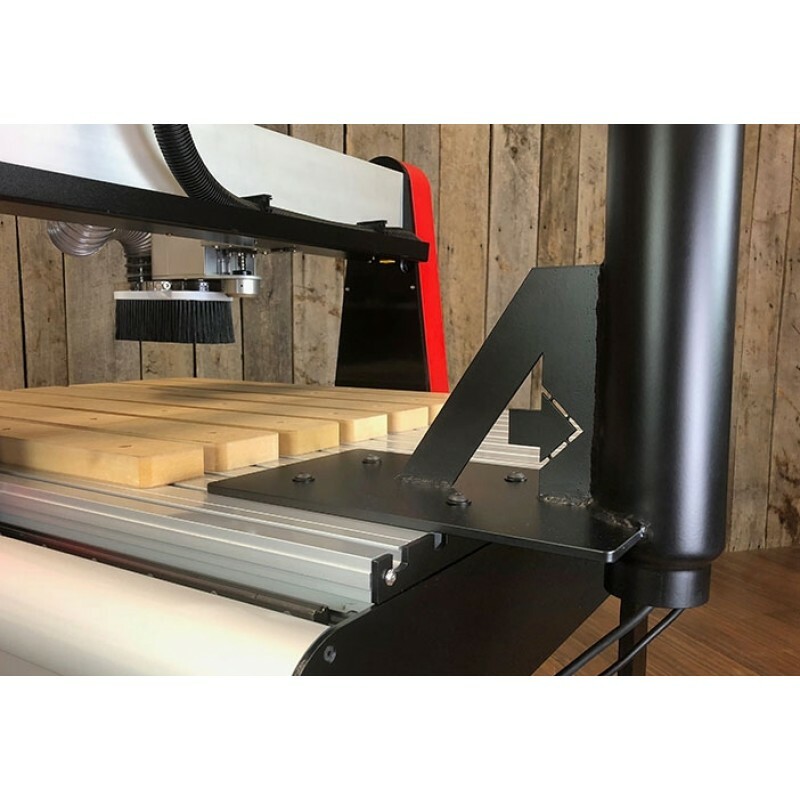 Now your dust collector can be easily connected to the 2 1/2” port located at the rear of your Axiom CNC machine.